Tranquility and serenity are the hallmarks of accommodations at The Kitano Hotel New York. With a modern design infused with Japanese style and minimalism, each of our 150 guest rooms and suites serves as a serene refuge in New York City. Rooms feature custom-designed mahogany and cherry furnishings and curated artwork. Our down comforters, pillows, and luxurious pillow-top mattresses ensure restful nights, complemented by double-paned soundproof windows, flat-screen TV's, and views of Murray Hill and the NYC skyline. Our rooms and suites at The Kitano Hotel New York are designed to inspire peace and rest while you travel. Custom furnishings, unique artwork, and ergonomic workspaces fill out each space, combining form and function. Our suites offer separate living areas with plenty of room for families, and our Asian-inspired Tatami Suite gives guests a taste of authentic Japanese hospitality. The Kitano Hotel New York offers a variety of suites to suit any traveler. 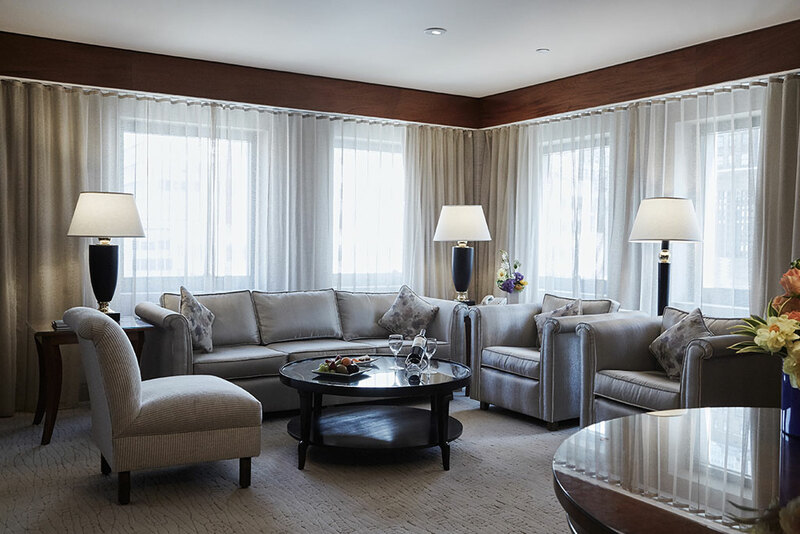 With spacious living areas, ergonomic workspaces, custom furnishings, and inspiring city views, our suites offer up an an air of serenity that permeates every corner. Discover an Asian-inspired oasis with an authentic experience of Japanese class and hospitality. This one-bedroom suite features all-natural wood floors, a deep-soaking tub, shoji paper screens, and Tatami mats for the ultimate Kitano experience.